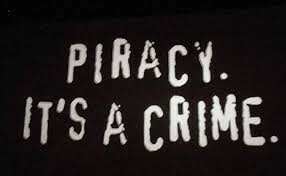 Piracy is the illegal downloading of music, pictures,apps, and more. Can be charged $150,000 per damages. Repeat offenders can be charged and put into jail for 10 years. $250,000 each item downloaded illegally. Click here for more.